This review is part of our series on measurement tools for social media analytics. Social media has become the key to any organization’s marketing strategy, but how do you track the success? Social media listening, monitoring and analysis is the other side the coin and can take your efforts to the next level by providing information that can lead to data-based decision making. TalkWalker is a component that you can add to your marketing toolkit. This cutting-edge, web-based data monitoring company will keep you up-to-the-minute informed on your company’s or client’s latest social happenings. TalkWalker offers a way for you to listen, analyze, then report social media information through a highly customizable dashboard. TalkWalker was founded in Luxembourg in 2009 by a privately held company, Trendication. In February of 2015, a New York office was opened and Todd Grossman was named CEO. The launch of the North America office was a major step in development and assisted with the company moving forward while still striving to improve technology and service. While competitors such as Nuvi and SproutSocial boast comparable systems, TalkWalker has a new visual listening feature that sets them apart from the rest. Visual listening is the ability to monitor, analyze or act upon visual content online and on social networks by combining image recognition technology with social intelligence. Visual listening is a game-changer as visual content dominates online and in social media. 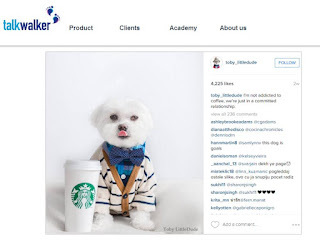 According to a white paper on TalkWalker.com, because visual information is processed 60,000 times faster than text and can persuade consumers more easily, it is used in 66% of all social media posts. Text-only listening tells half of the social media story, by utilizing this technology you can now find images that include your logo, brand or visual elements pertaining to your business that you may have otherwise missed. 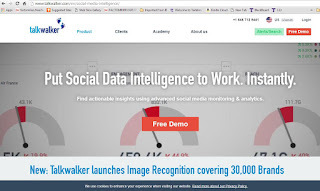 The visual listening feature along with traditional monitoring services and reporting positions TalkWalker as one of the world’s leaders in social media data intelligence. 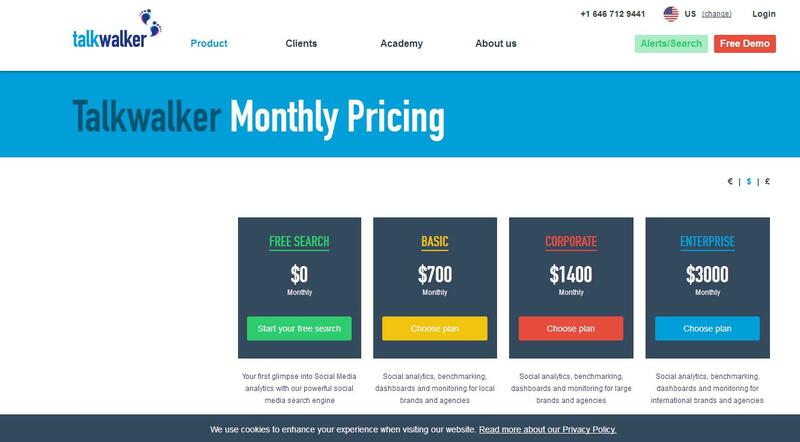 TalkWalker pricing ranges anywhere from zero dollars for a free search to $3,000 per month based on your company’s needs, project capacity required, results needed and more. 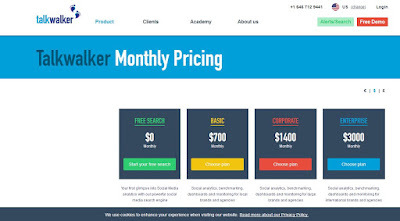 The pricing limits accessibility to the system for those of us with small marketing budgets. TalkWalker seems to be predominately used by firms servicing clients instead of those looking for in-house analysis. Upon providing your email and contact details, anyone can obtain access to the free search with no credit card required. The free search didn’t turn up any results for the small non-profit I entered, but results followed when I entered bigger brands such as Nike and Coke. Results of my search were easy to read, linked to the main media source and included metrics. However, the free search option does make a disclaimer that the TalkWalker free search is based on sample data and for full data access you can contact an associate and request a demo. If you aren’t ready to shell out the big bucks for all the features, TalkWalker is a plethora of useful social media marketing information including case studies, white papers on the latest monitoring technology, how to guides and more. If you are a firm or large agency that could use a boost to your social media monitoring tool belt, TalkWalker is a solid bet. 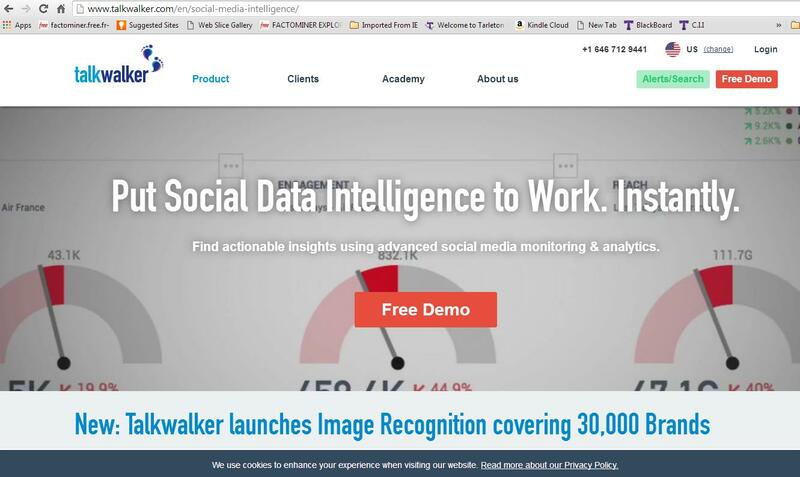 You can participate in a custom, one-on-one demo of the software by visiting http://www.talkwalker.com/en/social-media-intelligence/. Skyla Claxton is a communication graduate student at Tarleton State University. You can contact her at @skylaclaxton on Twitter.